We’re shaking things up a lil’ bit for June’s Flux Thursday. 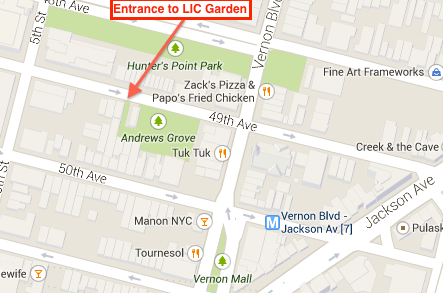 We’ll be holding our monthly potluck and artist talks over at the LIC Community Garden, the site of Nightlight, Flux’s second major exhibition for 2014. Fluxers Jung In Jung and Will Owen will present a music piece that responds to user input via Dan Phiffer‘s Occupy.here network. 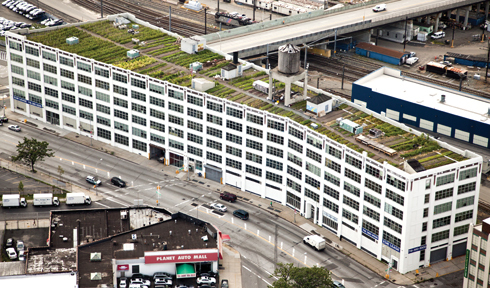 Bradley Fleming, Farm Manager at Brooklyn Grange’s LIC Flagship Farm, will present on their rooftop operation – the world’s largest commercial rooftop soil farm – located on top of the Standard Motor Products building on Northern Blvd. Long-time Flux collaborator and NYSCI’s Makerspace Coordinator Reid Bingham will then discuss the possibilities, drawbacks, and potential applications of the Grid Beam system, a sustainable open source construction system capable of building almost anything from chairs to lofts to electric vehicles. Flux Artist-in-Residence Lawman Lynch will launch an entertainment magazine on 11.11.11, the name of which will be revealed at the party.